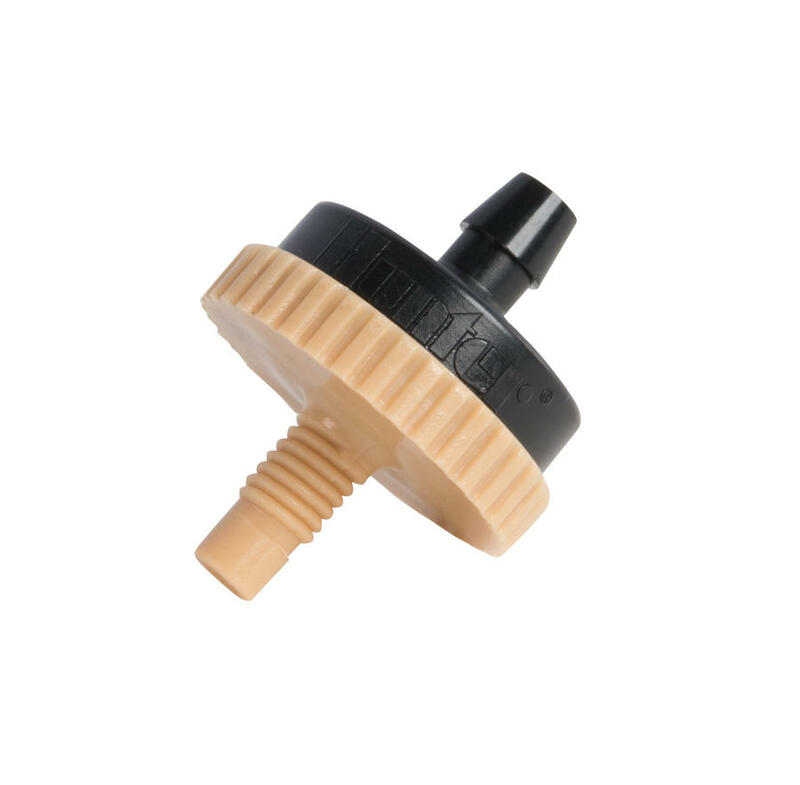 Hunter point source drip emitters apply water slowly and directly at the plant to ensure every drop is put to efficient use. 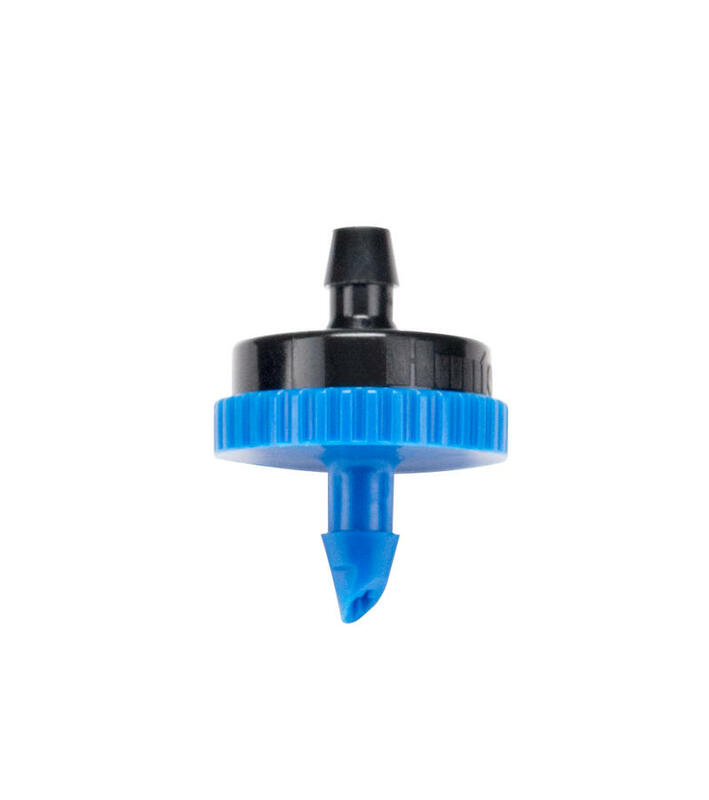 They are available in three convenient styles including self-piercing barb, 10⁄32 threaded, and ½" female pipe thread (FPT). 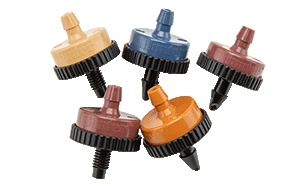 All styles are available in flows of 0.5, 1.0, 2.0, 4.0, and 6.0 GPH. 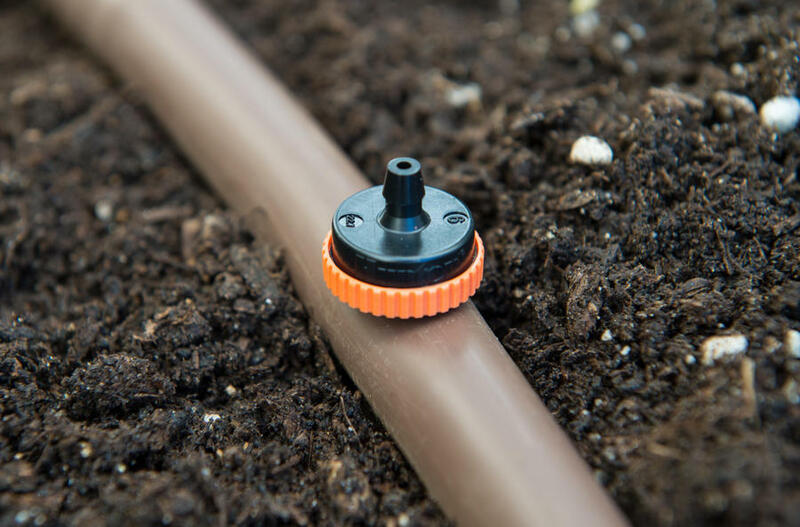 This wide range of flow rates offers you the flexibility to give individual plants and trees the right amount of water from single or multiple point source drip emitters. They are also color-coded for fast flow identification and feature coined edges for easy gripping during installation. 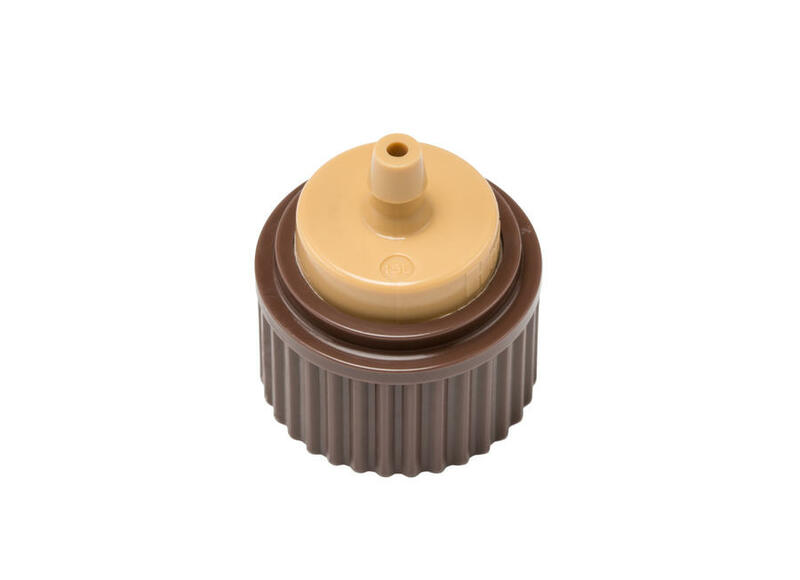 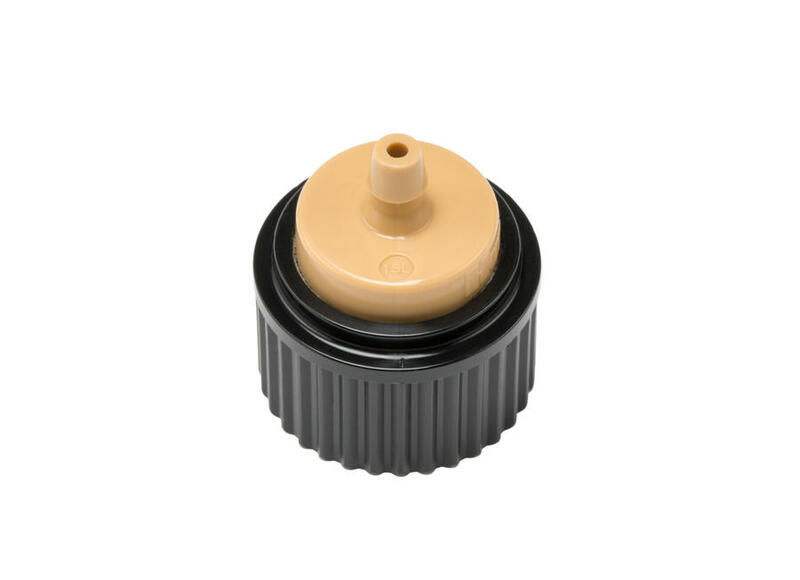 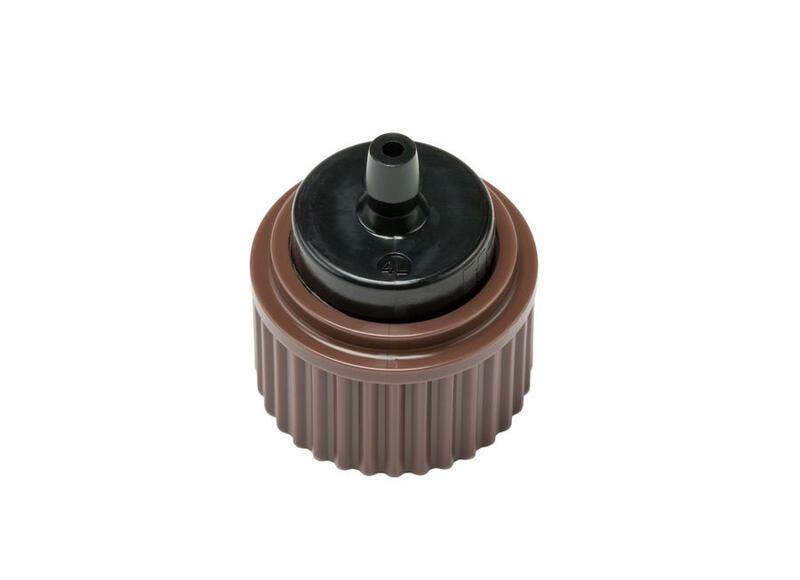 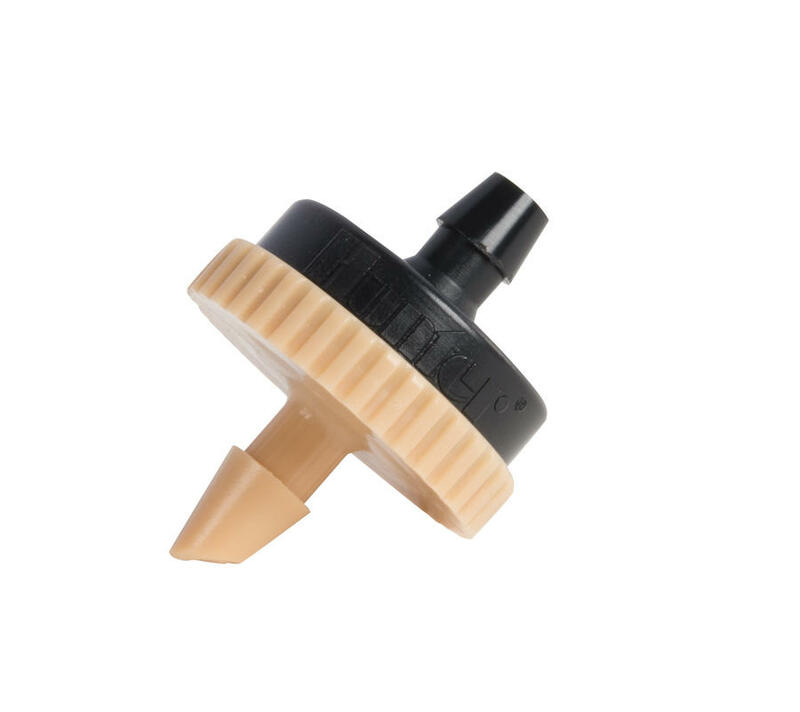 New product: 1/2" FPT emitters with brown base. 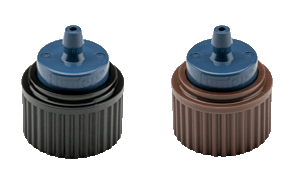 For applications where brown will simply look better, use the brown-bodied emitters. 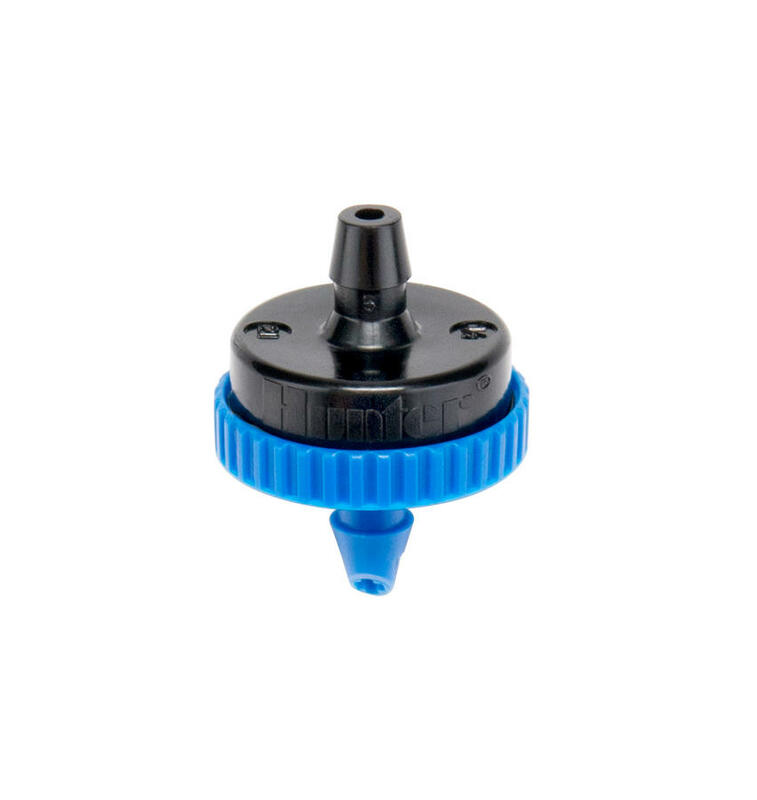 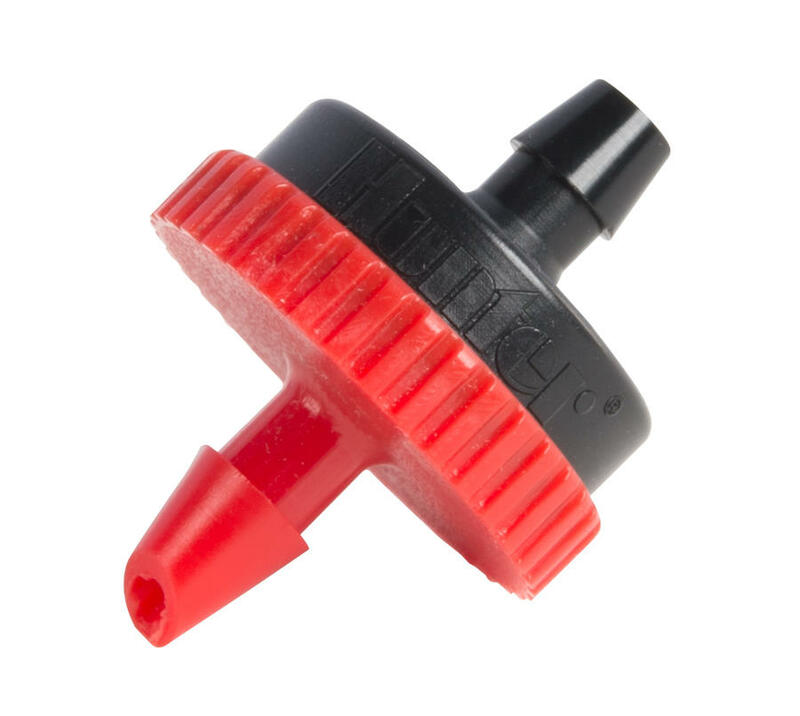 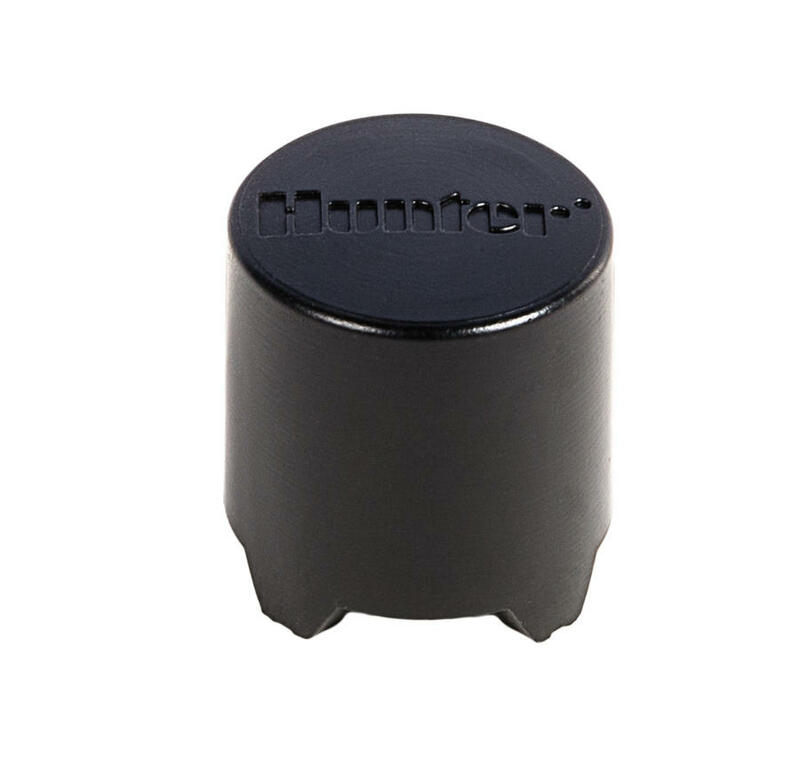 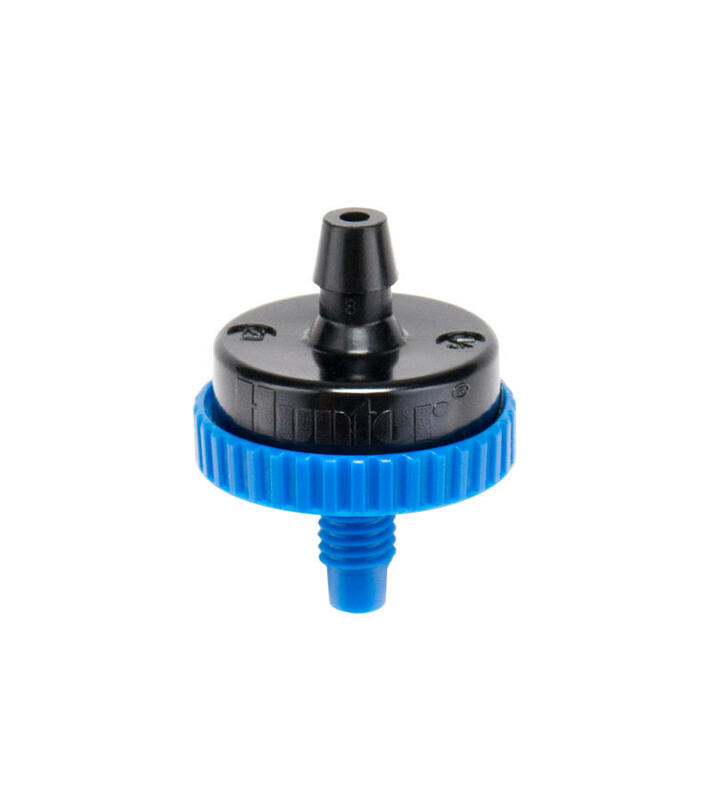 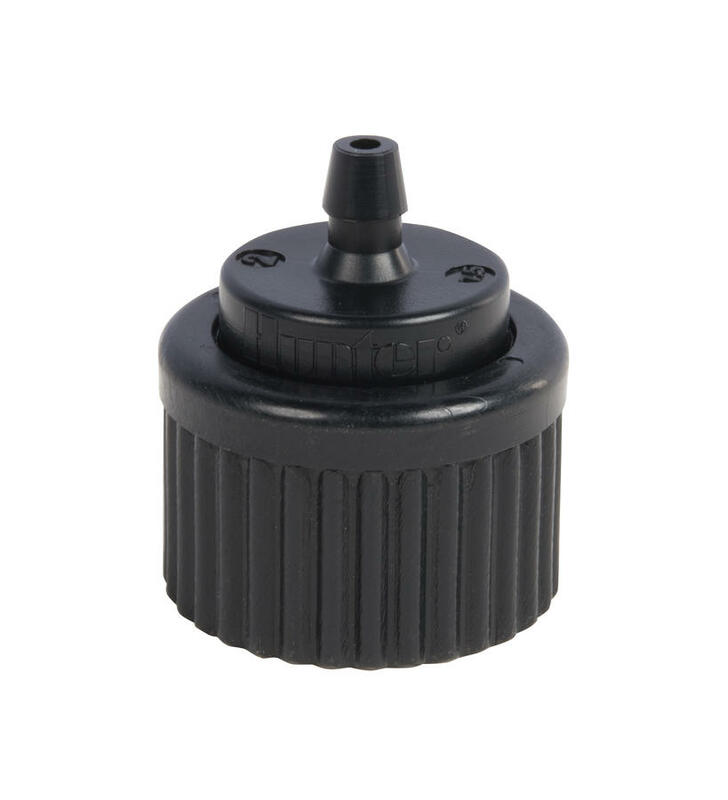 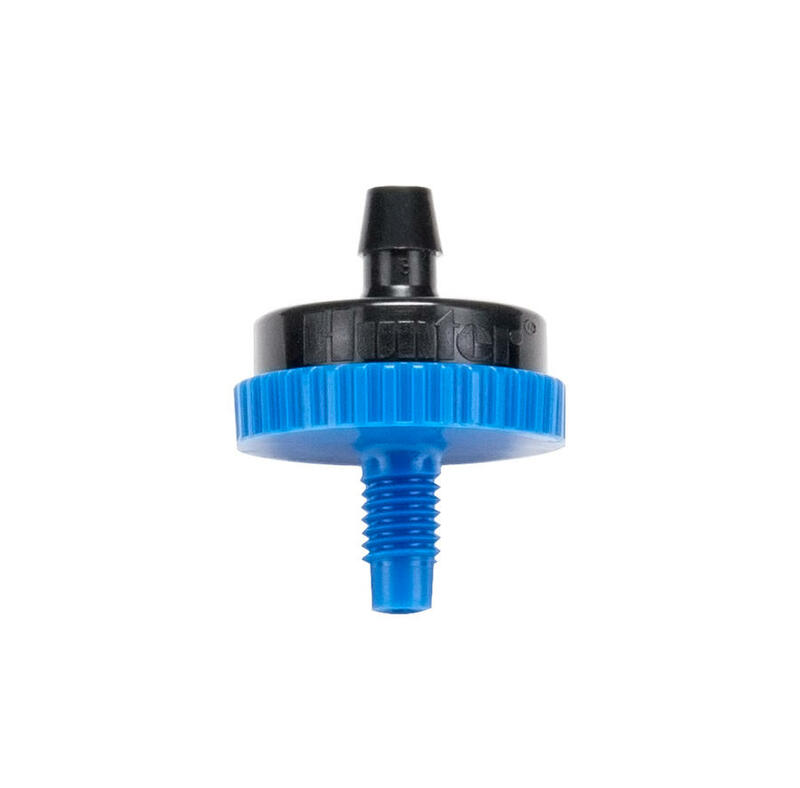 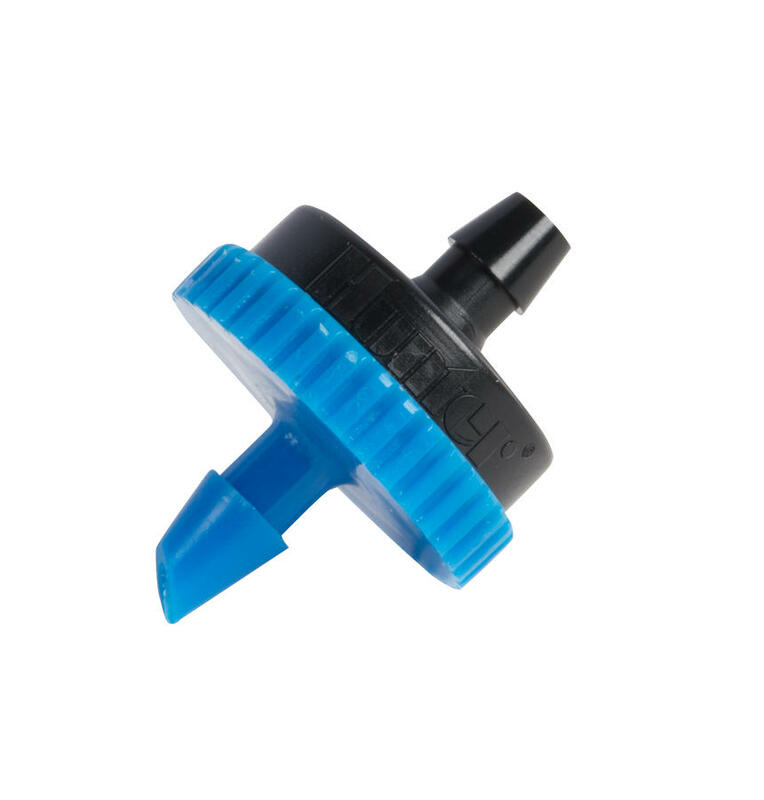 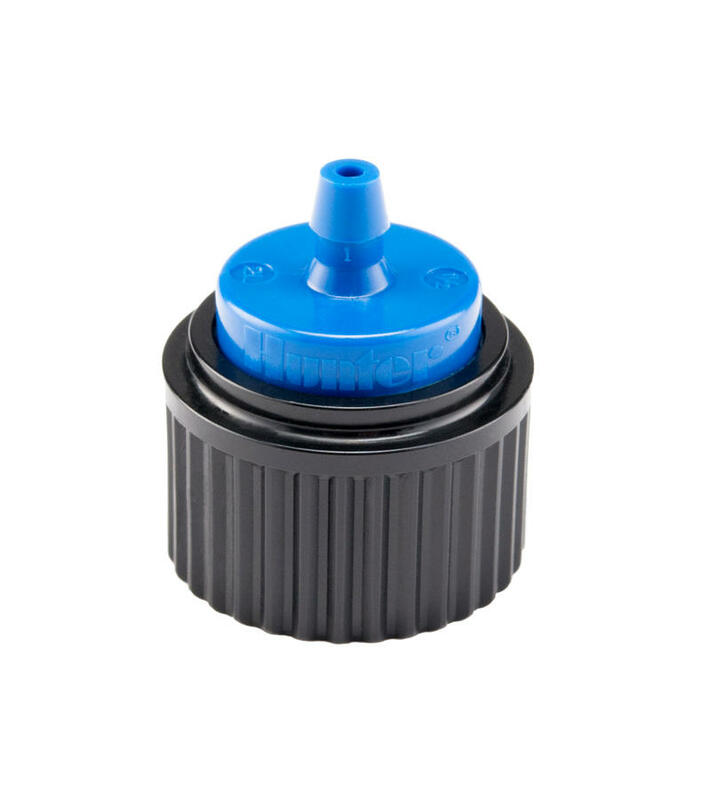 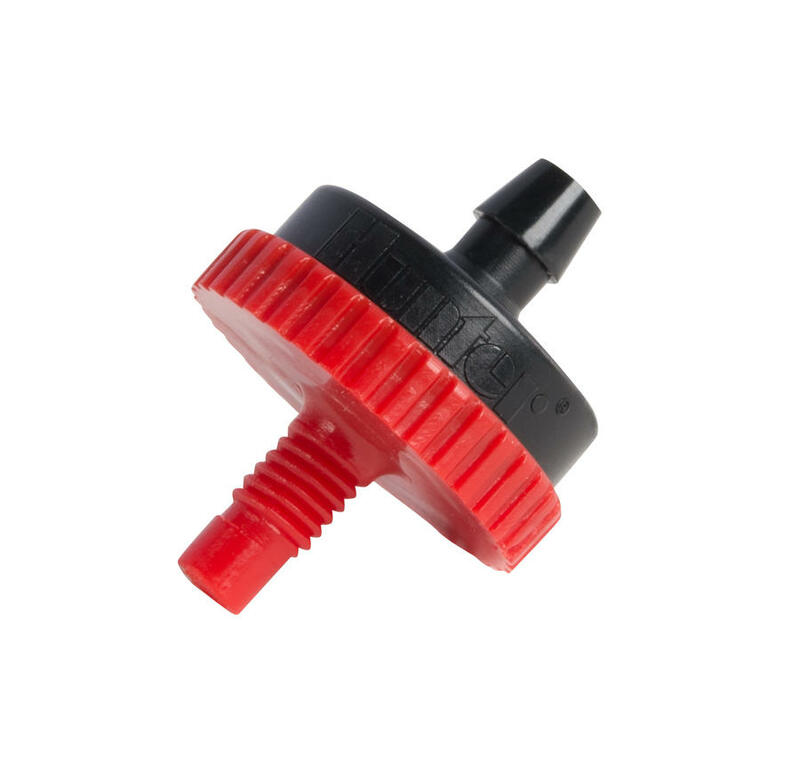 An optional diffuser cap is available to help gently distribute water at high GPH flow and to protect the emitter outlet from clogging. 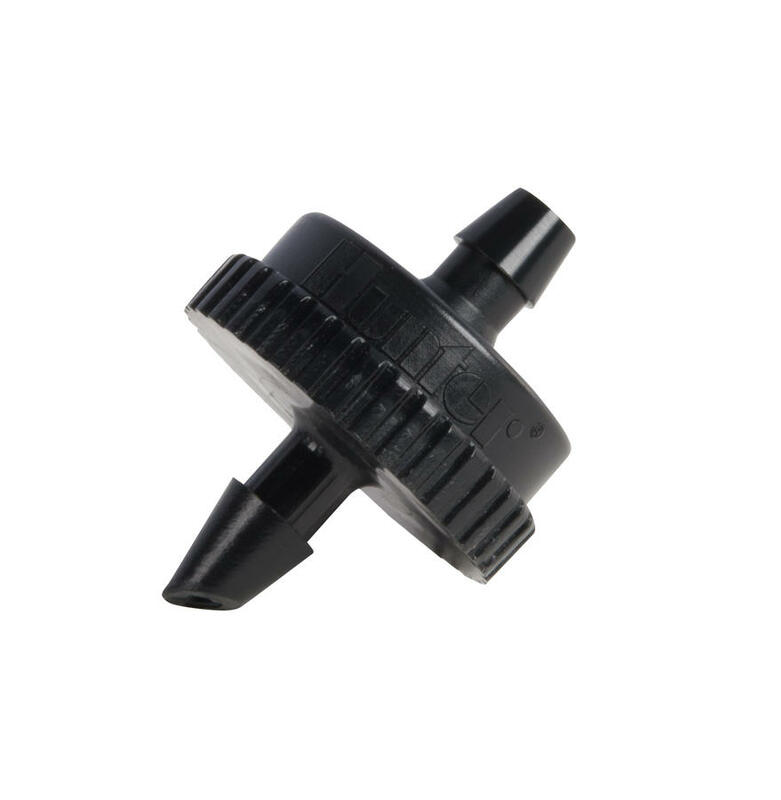 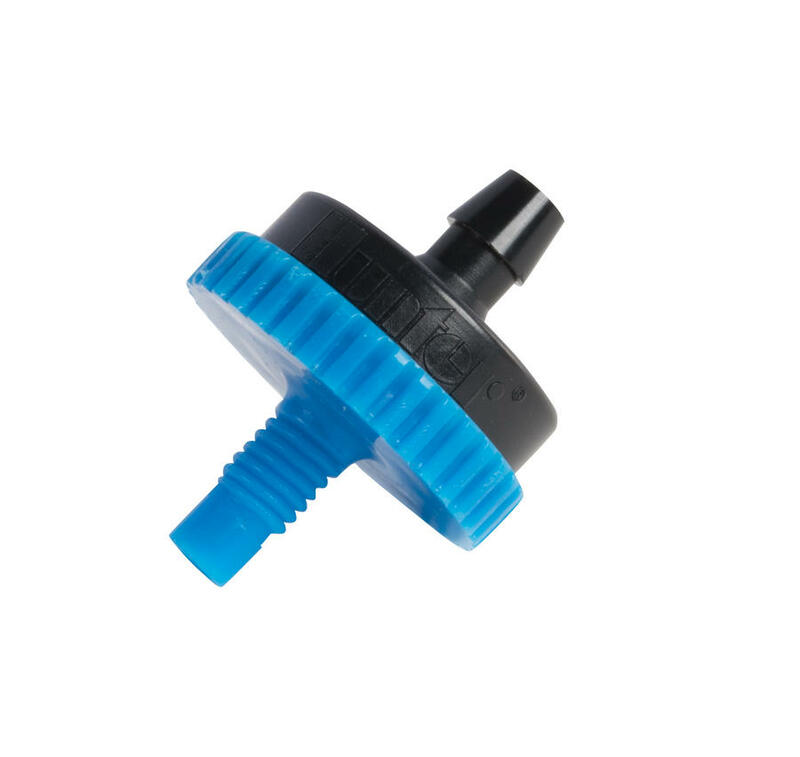 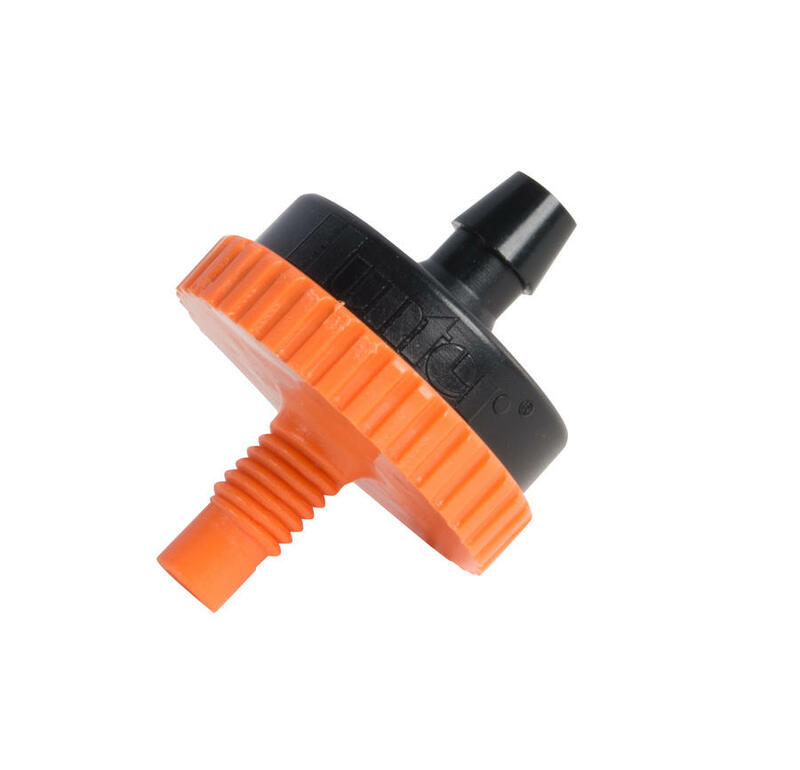 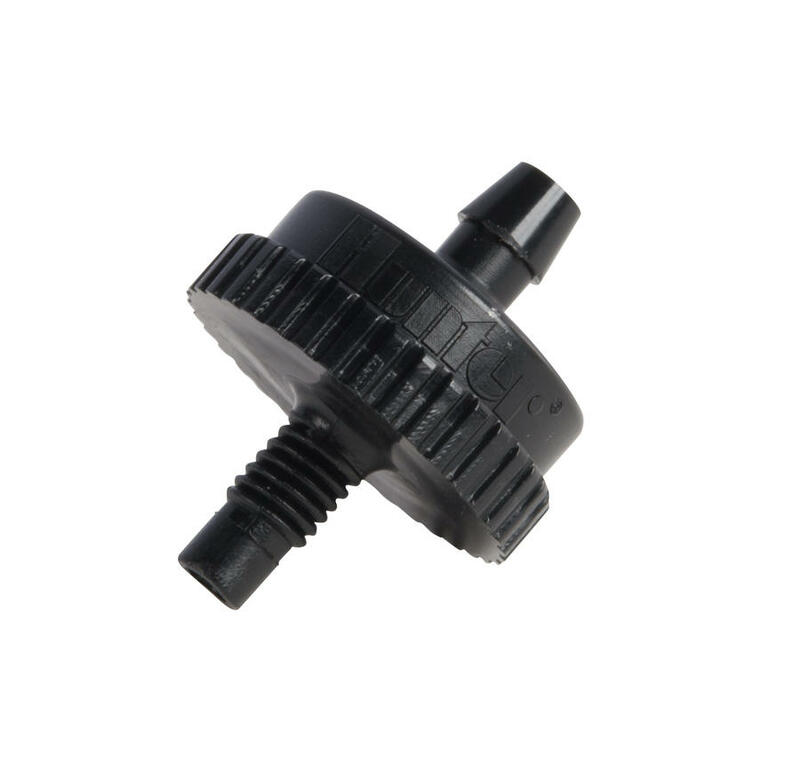 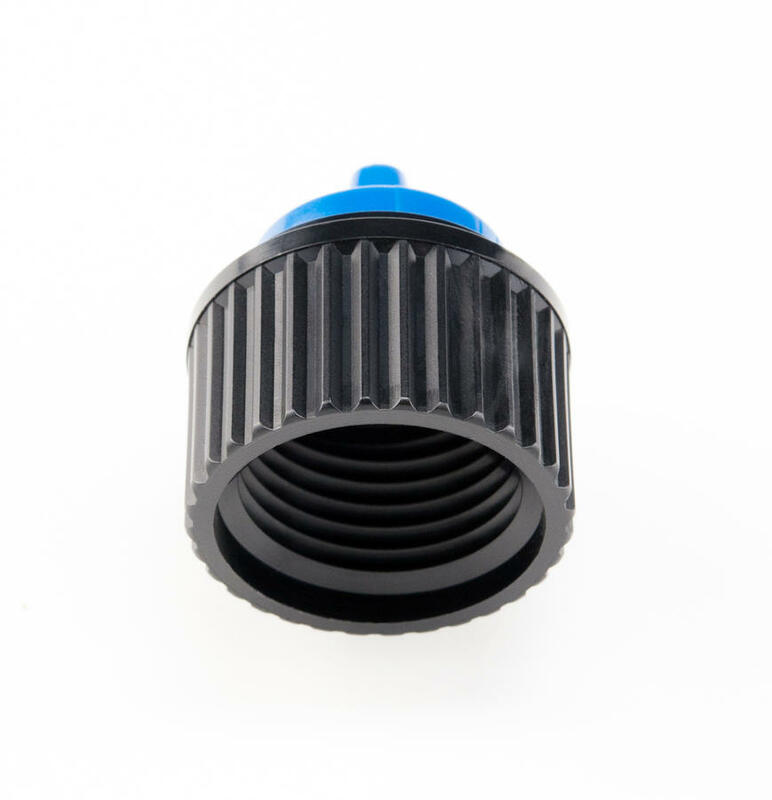 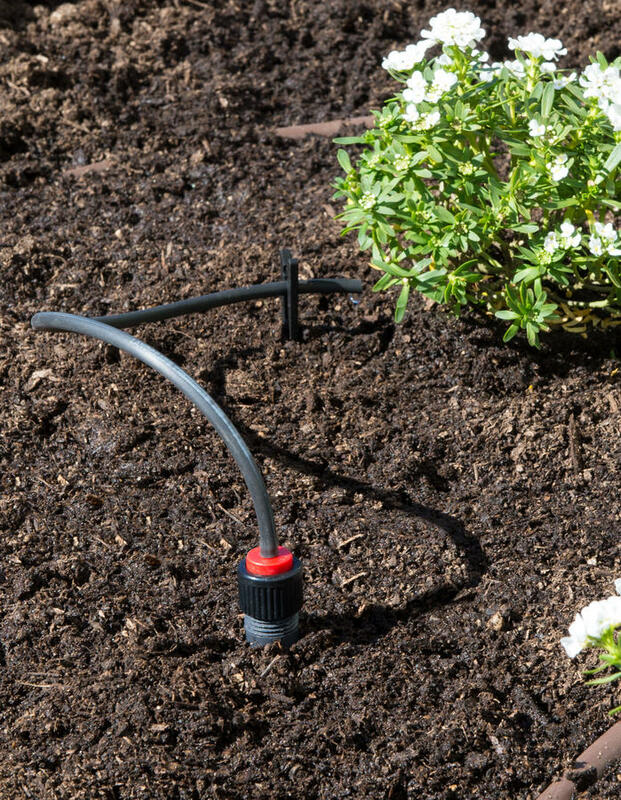 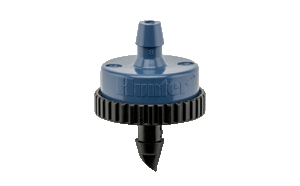 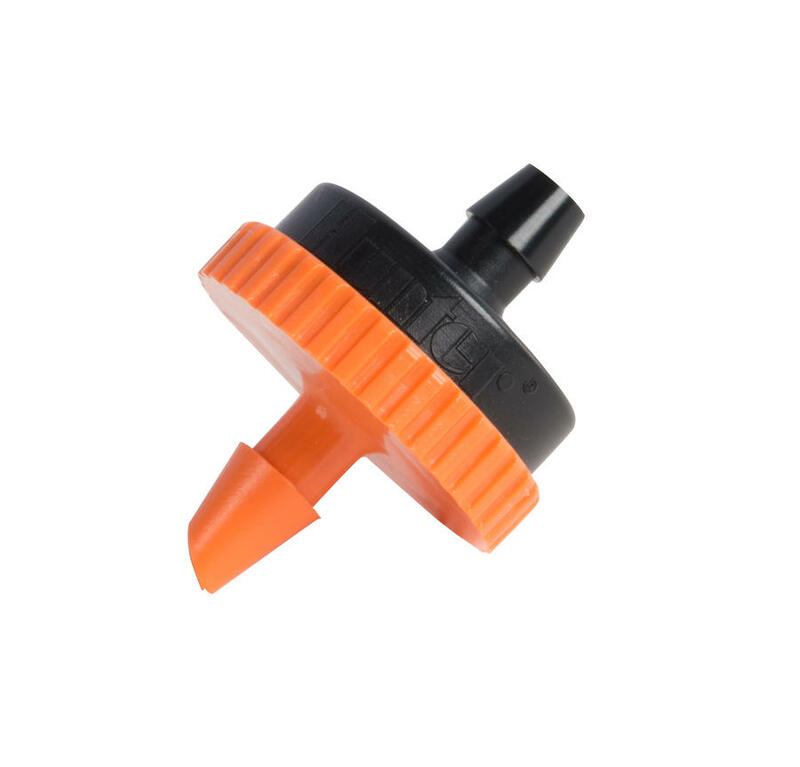 Manufactured by Hunter in the USA, these emitters offer the ability to enhance both water and operational efficiency in any micro-irrigation zone. 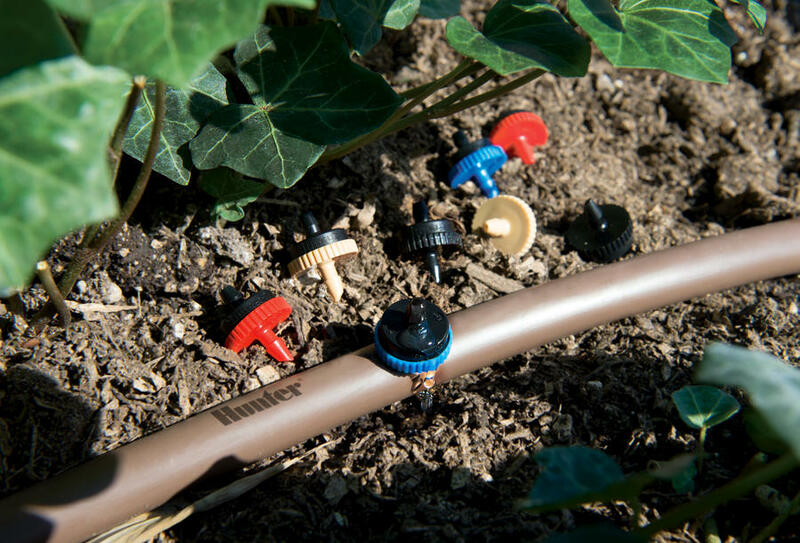 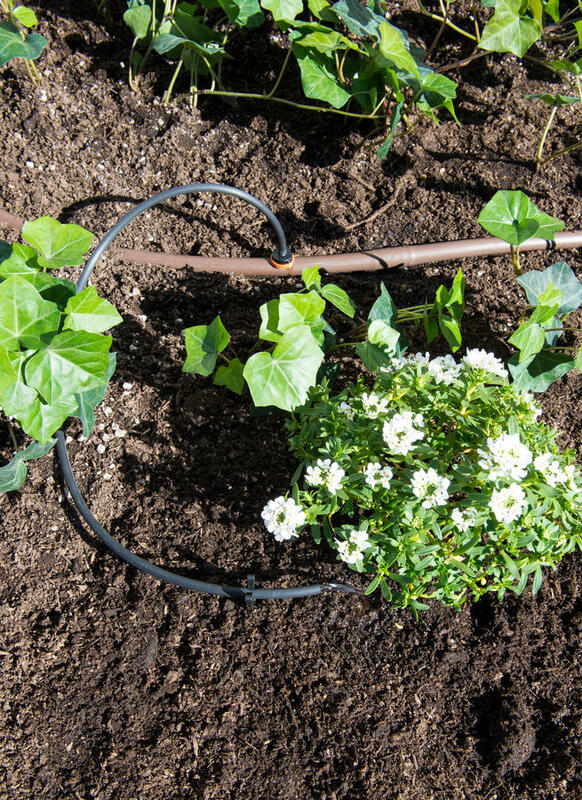 With flow rates ranging from 0.5 to 6 GPH, plants can get the right amount of water from a single emitter.